Step by step, WhatsApp has been implementing features to combat the uncontrollable spread of fake or even just sugar-coated news on its platform. Today’s update to the beta app includes one more measure to help monitor forwarded messages, but it also brings one very handy feature for voice notes. 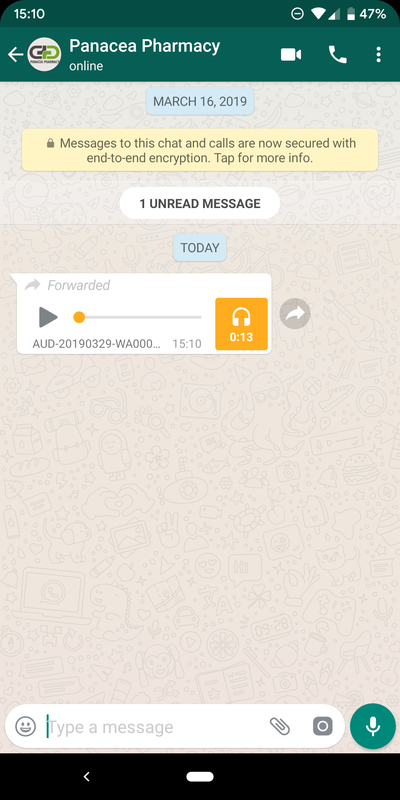 First up, WhatsApp beta 2.19.86 will play voice notes in succession, no need for you to keep tapping to play each message. The feature is awesome for chats with contacts who keep sending small blurbs of recordings instead of a full message, or those who often forget to say something then tack it on as a separate note. When you play these, an audible beep will sound at the end of one message, then WhatsApp will move to the next, and so on and on until you’re done listening to all. Another super minor change that I thought I’d mention here, even though it rolled out with beta 2.19.82, is that audio messages will now display their file name. I’m not sure why the team thinks this needs to be in the app, especially when images and videos don’t do the same, but it’s there. Left: Continuous voice note playback. Right: Audio message file name. Next up is the new forwarding count. 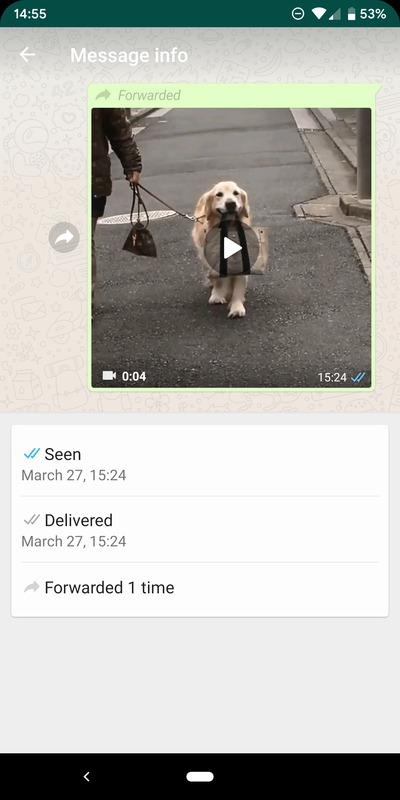 In beta 2.19.86, you can tap on any message you’ve forwarded and, in its info screen, see how many times you’ve sent it over. Messages that have been sent more than five times will have two arrows before the “Forwarded” label to depict that they’re being sent frequently. However, you can only see this info on your own messages, which in my opinion, is kind of pointless. I’d like to be able to check how many times an image or video or audio has been forwarded, for example, to help me tell if they’re recent or have been circulating for a long time. 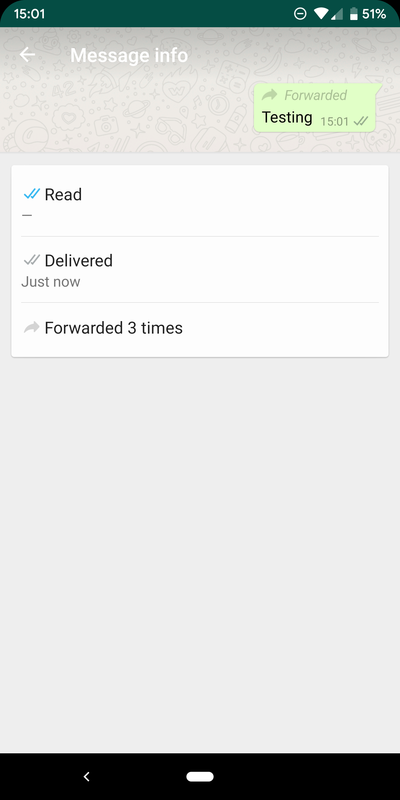 Forwarding count on messages you’ve sent. You can check out these changes in WhatsApp v2.19.86 beta, which is already available on the Play Store for those who have signed up for the beta program. We’ll also update this post once we have the file up on APK Mirror. Update: We have the APK now. Grab it here.